Old Testament - Today in Isaiah chapter 42 we will read some amazing prophecies about Jesus. In Isaiah chapter 42 verse 1 today we will read – “Here is my servant, whom I uphold, my chosen one in whom I delight; I will put my Spirit on him and he will bring justice to the nations.” Do you see the prophecies about Jesus as you read today's chapter 42? Is this chapter and its prophecies encouraging to you? Check out a webpage with an overview of "121 Messianic Prophecies of Isaiah fulfilled in Jesus Christ and His Church" at this link. Surf down and you'll see Isaiah chapter 42 prophecies and fulfillments. 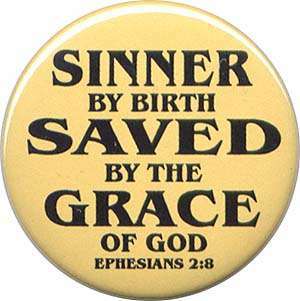 New Testament - Today in Ephesians chapter 2 verses 8 through 10 we read - “For it is by grace you have been saved, through faith—and this not from yourselves, it is the gift of God— not by works, so that no one can boast. For we are God's workmanship, created in Christ Jesus to do good works, which God prepared in advance for us to do.” Have you been saved by grace through faith? Do you believe that salvation is a gift that cannot be earned? Have you ever felt that you had to work for your salvation? What does Paul say about works related to salvation in these verses? Do you believe that you are God’s very workmanship? Do you believe you were created in Christ Jesus to do good works? Do you believe that God has prepared good works for you to do in advance? Are you participating in God’s plan for you life? Psalms - Psalm 67 verse 2 today sounds very Great Commission-ish - "May your ways be known throughout the earth, your saving power among people everywhere." How are you helping to make God's ways be known throughout the earth? Are you sharing with other's God's saving power? Does the life you live reflect God's glory to others? Proverbs - Proverbs chapter 23 verses 29 through 35 is about one of the largest portions of Proverbs that we will read in one given day this year in the One Year Bible. I'm sure you've noticed that usually our Proverbs readings each day are 1 verse or 2. Well, these 7 verses today are well worth presenting together all at once! I pray these verses speak to each of us powerfully about the dangers of overdoing alcohol and being out late partying - "Who has anguish? Who has sorrow? Who is always fighting? Who is always complaining? Who has unnecessary bruises? Who has bloodshot eyes? It is the one who spends long hours in the taverns, trying out new drinks. Don't let the sparkle and smooth taste of wine deceive you. For in the end it bites like a poisonous serpent; it stings like a viper. You will see hallucinations, and you will say crazy things. You will stagger like a sailor tossed at sea, clinging to a swaying mast. And you will say, "They hit me, but I didn't feel it. I didn't even know it when they beat me up. When will I wake up so I can have another drink?" So very true! This is a bit of a tangent off these verses, but I think it serves. Has anyone out there read Anne Lamott's book Traveling Mercies by chance? It's not quite your standard evangelical Christian book fare... :) But, it was reviewed reasonably favorably by Christianity Today and some other Christian book reviewers. Anne Lamott is a born-again Christian - she says so herself in this book. I actually just started reading it a few nights ago and have not yet completed it. But I have been compelled by Anne's story and writing in this book. When I read these verses above I think of Anne's early life - and Anne basically says everything above (and way more) from these verses about her life. But, one of the coolest portions of her book so far is when she finally gives her life over to Jesus. It is an incredible incredible story. Be forewarned - Traveling Mercies is full of curse words, you will very likely disagree w/ some of Anne's theology (I definitely did at times), and Anne's early life is full of actions that are tough to read about - but she gets to redemption many times in the book. I haven't completed the book yet - so I may regret posting up this somewhat favorable review of this book... :) But, if you want to read a spiritual memoir that begins with today's Proverbs verses and leads to Jesus, then Traveling Mercies by Anne Lamott will serve. "When the poor and needy search for water and there is none, and their tongues are parched from thirst, then I, the LORD, will answer them. I, the God of Israel, will never forsake them. I will open up rivers for them on high plateaus. I will give them fountains of water in the valleys. In the deserts they will find pools of water. Rivers fed by springs will flow across the dry, parched ground. I will plant trees--cedar, acacia, myrtle, olive, cypress, fir, and pine--on barren land. Everyone will see this miracle and understand that it is the LORD, the Holy One of Israel, who did it. "Can your idols make such claims as these? Let them come and show what they can do!" says the LORD, the King of Israel. "I, the LORD, have called you to demonstrate my righteousness. I will guard and support you, for I have given you to my people as the personal confirmation of my covenant with them. And you will be a light to guide all nations to me. "I am the LORD; that is my name! I will not give my glory to anyone else. I will not share my praise with carved idols. Jesus is God’s “personal confirmation of My Covenant”. Isn’t that great! 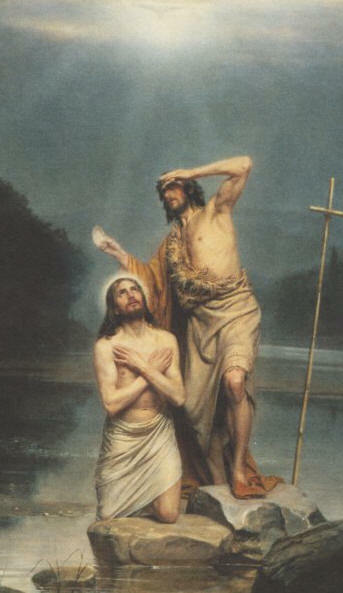 "Oh, how deaf and blind you are toward me! Why won't you listen? Why do you refuse to see? Who in all the world is as blind as my own people, my servant? Who is as deaf as my messengers? Who is as blind as my chosen people, the servant of the LORD? You see and understand what is right but refuse to act on it. You hear, but you don't really listen." How much are we—am I—like this? But now, O Israel, the LORD who created you says: "Do not be afraid, for I have ransomed you. I have called you by name; you are mine. THANK GOD! … Jesus is with us even through our unbelief and “weakness of faith”. And it has often thrown him both into fire and into water, intending to kill him. But if You can do anything, do have pity on us and help us. At once the father of the boy gave [an eager, piercing, inarticulate] cry with tears, and he said, Lord, I believe! [Constantly] help my weakness of faith! 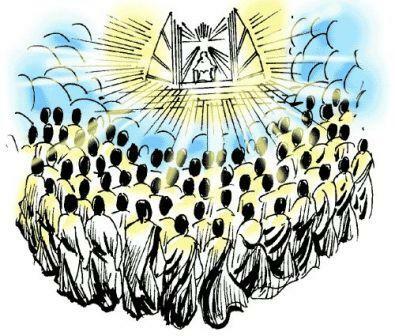 But when Jesus noticed that a crowd [of people] came running together, He rebuked the unclean spirit, saying to it, You dumb and deaf spirit, I charge you to come out of him and never go into him again. THANK GOD! Jesus is very patient with us! This should SPUR US to obey more! "From eternity to eternity I am God. No one can oppose what I do. No one can reverse my actions." For we are God's masterpiece. He has created us anew in Christ Jesus, so that we can do the good things he planned for us long ago. We who believe are carefully joined together, becoming a holy temple for the Lord. Through him you Gentiles are also joined together as part of this dwelling where God lives by his Spirit. WE SHOULD REJOICE! BUT WE SHOULD ALSO BE ABOUT THE WORK OF THE KINGDOM!